From the authors of contemporary classic The Spirituality of Imperfection comes this long-awaited sequel. 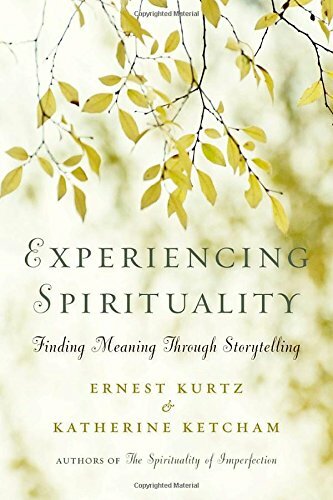 A great master once said, “The shortest distance between a human being and truth is a story.” In Experiencing Spirituality, Ernest Kurtz and Katherine Ketcham take readers on a journey through storytelling as a means of self-discovery. Recounting and interpreting great wisdom stories from all ages and all cultures, as well as telling many of their own, the authors shed light on such experiences as awe, wonder, humor, confusion, and forgiveness. In story after story, seekers look to those whose lives reveal a special quality—sometimes called spirituality—and ask the masters what they must do to attain that same quality. The answer is simple: “Come, follow me, and see how I live.” Experiencing Spirituality teaches through the example of human experience.